Ashley Bickerton (1959, Barbados) graduated from the California Institute of the Artsin 1982 and continued his education in the Independent Studies Program at the Whitney Museum of American Art, New York. A seminal figure in the East Village scene of the mid ’80s in New York, Bickerton was one of the original members of a group of artists known as ‘Neo-Geo,’ and to this day remains an influential figure with a younger generation of artists. His work can be found in numerous museum collections worldwide, including the MoMA, New York and the TATE, London. Last year Ashley Bickerton had his first major UK retrospective titled Ornamental Hysteria, compiling more than 50 works from four decades at the Newport Gallery in London. 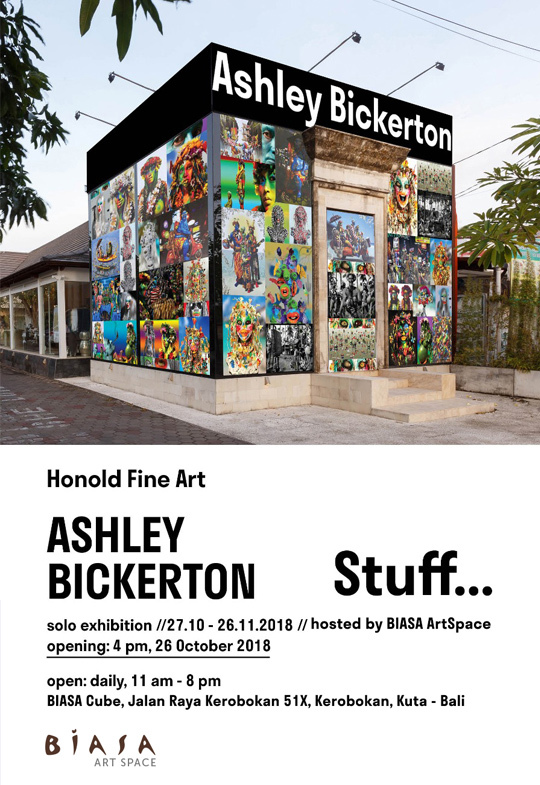 The artist lives and works in Bali, Indonesia.